If you’re a freelancer, you need a strong online portfolio to differentiate yourself from all the other fish in the sea. Without a portfolio that showcases your best work, finding the clients is going to be hard. The solution, of course, is to figure out how to make a portfolio that enables you to stand out. By the time we’re done, you’ll have a professional online portfolio in place, and you’ll be ready to court new clients. Let’s talk about how to make a portfolio! Come up with several variations of your own name. Use a domain checker to investigate their availability. Prioritize combinations that are available with .com Top-Level Domains (TLDs). Using your own name for your domain is a smart move since a portfolio is all about selling yourself as a good potential hire. In short, by using your name, you’re putting your brand out there. Naturally, depending on how common your name is, the availability of suitable domains will vary, so you may need to get creative. It should be noted that this approach only works if you’re a solo freelancer. If you work as part of an agency, for example, you’ll most likely want to use its name for a domain instead. Finally, it can also be a great idea to include your field into the domain itself. For example, if you’re a photographer called Alexander, you might go for portraitsbyalexander.com. Keep in mind that the domain should be clear, easy to read, and memorable. Once you find one that fits those requirements, you can go ahead and register it right away. 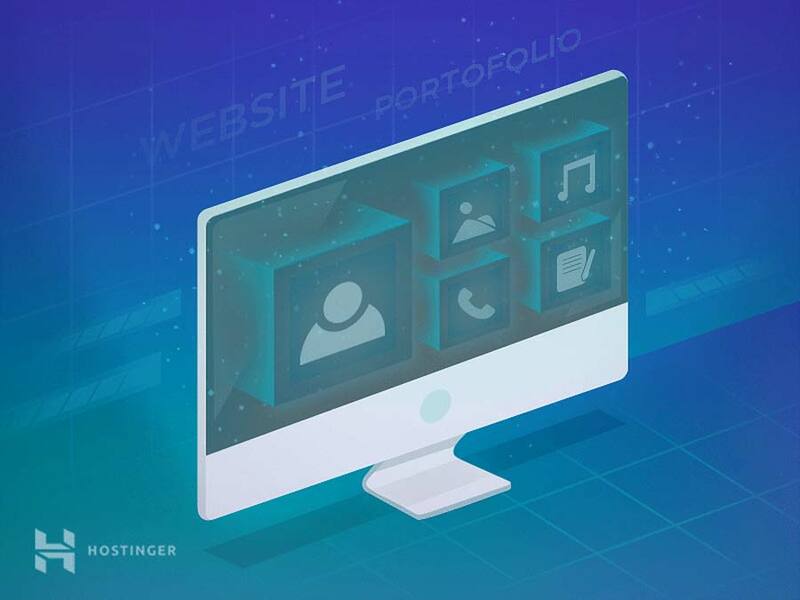 There are several different types of hosting you can use as your portfolio website’s backbone. However, in our experience, most portfolios do just fine with shared hosting. It’s important to note that since you’re sharing server space with other users, shared hosting has some limitations when it comes to performance. For more portfolio sites this shouldn’t affect them, but if you’re getting a significant number of visitors a day, you’ll probably want to look for something more robust. One such option is using a Virtual Private Server (VPS). Which option you decide to use depends largely on your projected level of traffic. If your site takes off, you’ll probably get a steady stream of visitors, but it’s usually a good idea to start small and then expand as your audience grows. 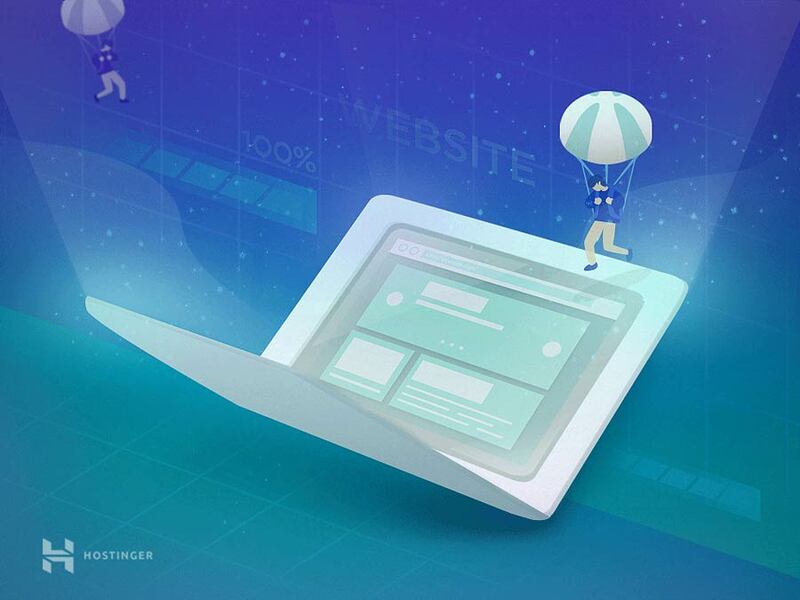 That said, while the hosting plan is important, you should also make sure to pick a web host that offers an excellent baseline when it comes to performance and features. The great thing about creating an online portfolio is it usually doesn’t need that much functionality. In our experience, the best portfolios are all about showcasing your work, so there’s little need to use a complex platform to power yours. For most cases, we’d recommend using WordPress. This particular Content Management System (CMS) is unique in that it’s highly customizable and straightforward to use, even if you’ve never created a website before. For you, that means you won’t need to spend weeks how to make a portfolio or website from scratch. It’s also worth noting since WordPress is so popular, plenty of web hosts will provide you with quick installation options for the platform. Even if yours doesn’t, setting up WordPress on your server is incredibly simple even for beginners. In fact, it’s commonly referred to as the “famous 5-minute installation”. This CMS can be a bit more complicated to pick up, but this is mostly because it contains more settings out of the box. Even so, there is plenty of documentation to help you get started. This CMS can be a fantastic option for learning how to make a portfolio and plenty of other projects. While we outlined a few options earlier, for the rest of this guide on how to make a portfolio, we’re going to focus on WordPress. This is simply because it’s the most user-friendly option that also offers plenty of solutions specific to portfolio sites. A WordPress theme created with portfolios in mind. A gallery plugin that enables you to showcase your best work. Contact form functionality, which you can also implement using plugins. Of course, there are many more features you can add to an online portfolio. However, its core goal should always be to show your work and enable potential clients to hire you. As such, we’ll be focusing on these aspects throughout this article. Once you find a theme you like, you can simply install and activate it. You can then move on to find a gallery plugin, which you’ll use to display your work. A little while ago, we wrote an in-depth guide about how to create stunning WordPress galleries, so follow the steps we outlined there when configuring your own gallery. This is a great choice because it gives you a range of options in how your gallery looks. It also provides a number of lightbox options, and even lets you use both images and videos in the same galleries. It’s also free, so you can test the plugin out right away with no risk. Once you’ve got your galleries up and running, it’s time to give your potential clients a way to reach out. Next up, we’re adding a contact form. You’ll need to set up a contact form plugin to enable your visitors to get in touch with you as easily as possible. After all, the whole goal of learning how to make a portfolio is to drum up new business! Contact Form 7 enables you to create complex forms using shortcodes, which you can add using the buttons you see above. 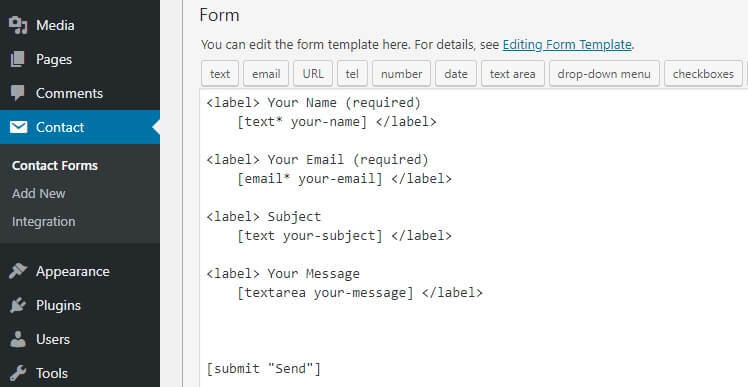 The form in this example contains fields to input a name, an email address, a subject, and a message. This is a pretty good standard form and contains everything you’ll need for most cases. Feel free to add and remove fields to match your requirements. You can also customize the form’s default text. For example, you can change the Your Message label to read something such as “Let’s talk about how I can help you!” or something else that reads more personal. There are also options to configure the name and title that will display when you get new emails from your website. After all, remember that users will be sending messages from your site and not from their emails. For a portfolio, you might want to place your contact form at the end of your homepage. It can also be a great idea to set up a dedicated Contact Me page, including your form, links to social media, and any other communication methods you want. At this stage, you should have both a gallery and a contact form, which are key to learning how to make a portfolio. However, if you’re hoping to convince people to hire you, it might also be necessary to tell them something about yourself. One of the key drivers behind online conversions is trust. For someone to hire you, they need to have some idea of who they’re dealing with, beyond just your past work. A very brief explanation of who you are and what kind of work you do. Bullet points that go into more depth about the services you offer. A headshot that lets everyone see what you look like. Some information about notable past projects and employment history. That’s pretty much everything you need to woo potential clients. If you want to go a step further, you could consider adding a dedicated About Me page, but this isn’t strictly necessary. Instead, we recommend you add all that info to your homepage and keep things tidy. If you’re looking to hire someone online, the first thing you’ll want to check out is some of their past work. In other words, you’ll want to see their online portfolio. Fortunately, learning how to make a portfolio isn’t as complicated as you might think, particularly if you’re using WordPress. Do you have any questions about how to make a portfolio? Let’s talk about them in the comments section below!